Paul Strassmann’s blog: 133: Why Has the U.S. Stock Market Increased by 300%? 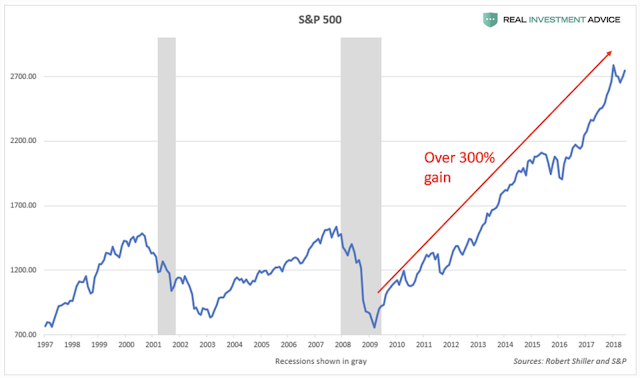 133: Why Has the U.S. Stock Market Increased by 300%? The root causes of the U.S. corporate bond and stock market bubble are the ultra-low interest rates. 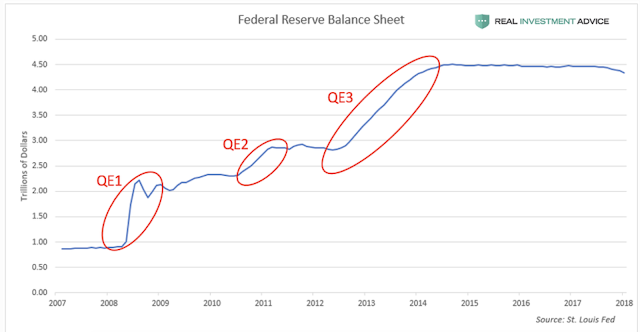 Though interest rates have been falling since the 1980s, the trend has been supported by the Federal Reserve since the Great Recession of 2008 and 2009. 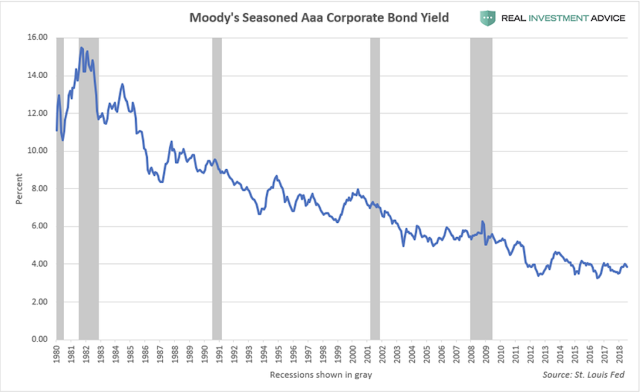 While the climbing U.S. stock market received attention, a dangerous bubble has been forming in the corporate bond market. This bond bubble is one of the main reasons why the stock market has been consistently pushing to new highs. 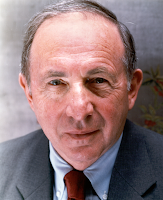 The purpose of this Post is to explain why the corporate bond bubble poses a risk to the stock market and economy. Low corporate bond yields have encouraged U.S. public corporations to borrow heavily in the bond market since 2007. Total outstanding non-financial corporate debt has increased by over $2.5 trillion, which is a dangerously high level. U.S. corporate debt is now at an all-time high of over 45% of GDP, which above the levels reached during prior excessive pricing conditions. 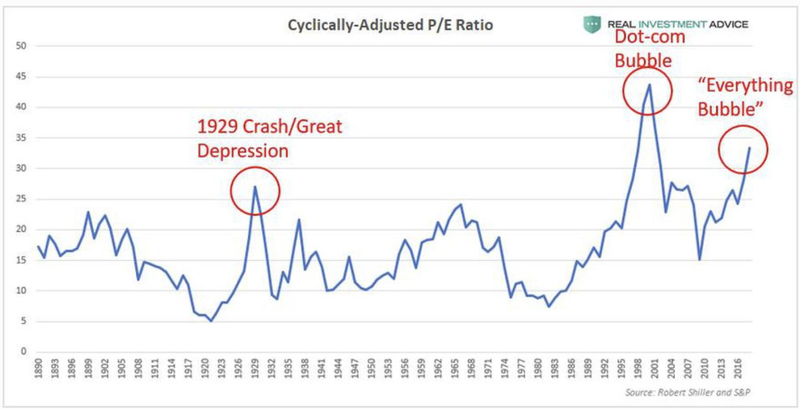 Shiller cyclically-adjusted price-to-earnings ratio (or CAPE) now exceeds the perilous levels of the 1929 crash. 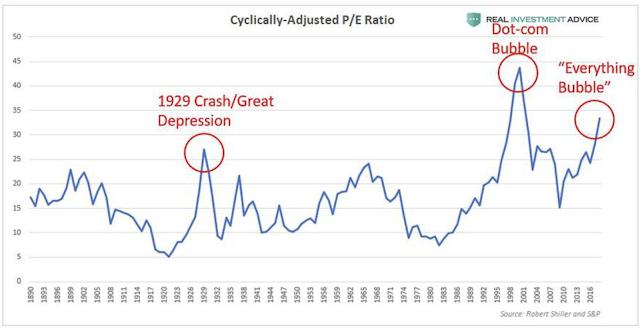 This suggests a very high level of vulnerability and indicates that another recession may be now forming. The U.S. corporate debt bubble will burst due to tightening monetary conditions which includes rising interest rates. It is the loose monetary conditions that has created the current corporate debt bubble in the first place. Ending of those conditions will puncture the corporate debt bubble. 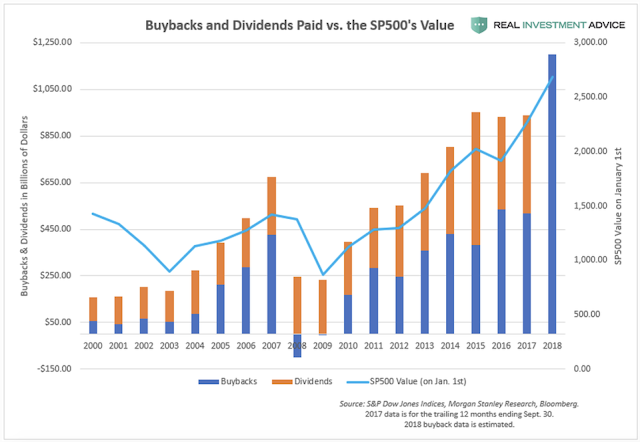 Falling corporate bond prices and higher corporate bond yields will most likely cause the current stock buybacks to come to a screeching halt which will ultimately lead to the creation of a downward recessionary spiral. When that will happen is not certain because the government is still inducing rising corporate profits that will continue supporting rising stock market prices.